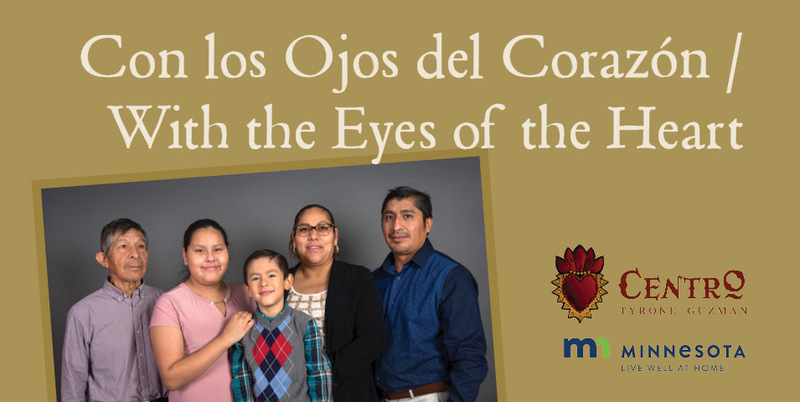 Celebrate the opening of the new exhibit, “Con los Ojos del Corazón / With the Eyes of the Heart,” at Mill City Museum. Enjoy a brief program from 10:15-11:15 am, and refreshments and live music will be provided. The exhibit explores memory loss through objects from the local Latine community as well as photos taken by acclaimed photographer Xavier Tavera. The exhibit is part of a larger Centro Tyrone Guzman two-year project addressing Latine elders experiencing Alzheimer's and memory loss and their caregivers, including working with MNHS to develop a House of Memories toolkit for the Latine community, which aims to use museum resources to help those with dementia live well. Tavera’s work highlights the face of each elder as a way to begin breaking down stigmas related to dementia. Each person is unique and has a distinct story, with strengths, abilities, and much love to share. The photos show the elders’ families supporting them to have a better quality of life, seeing the elders with “eyes of the heart,” as they embrace their loved one’s humanity and unique identity. The exhibit was developed by Centro Tyrone Guzman and will be located in the museum’s central Mill Commons during regular museum hours through July 27, 2019. This exhibit was supported, in part, by a Live Well at Home grant from the Minnesota Department of Human Services.